The Recliner Sandals are like walking on a puffy cloud. 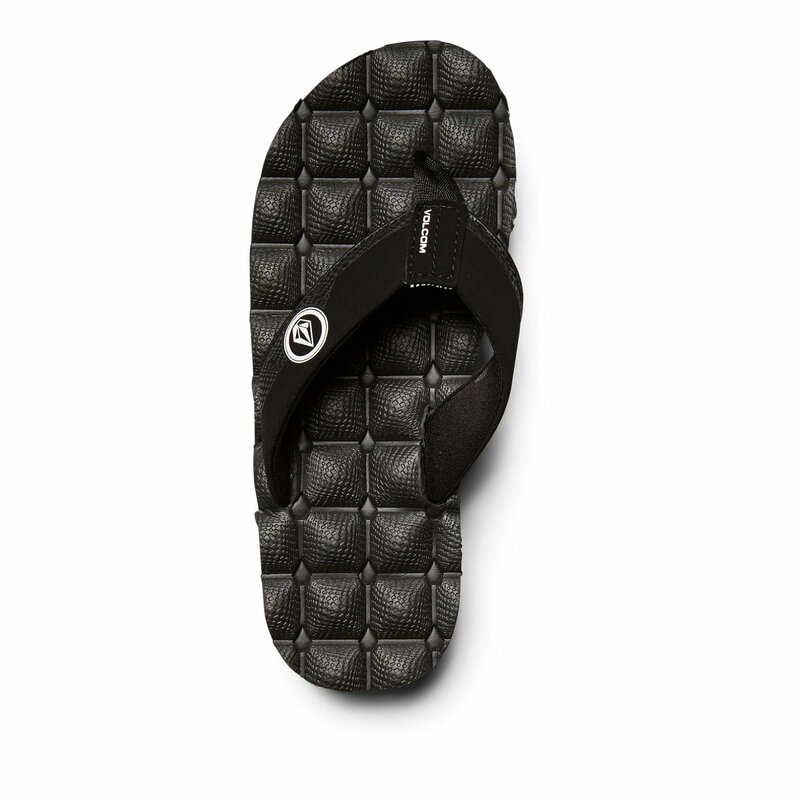 A quilted rubber sponge sole with an RCF cold press molded EVA footbed make these the most comfortable sandals your little shredder will ever own. Style points include a molded lycra lining with a synthetic nubuk upper. Also includes a webbed toe post with a non-scuff molded TPR outsole to provide the support he needs.